Launched on the 15th November 2006 by Bishop John Kirby. 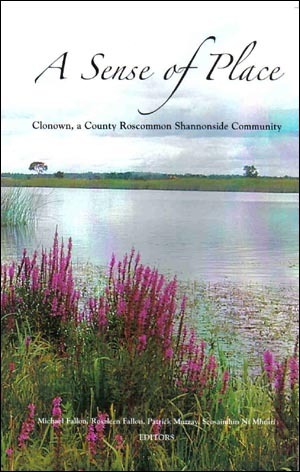 This book covers history, culture, environment of Clonown and the surrounding areas of Drumlosh and Carricknaughten. 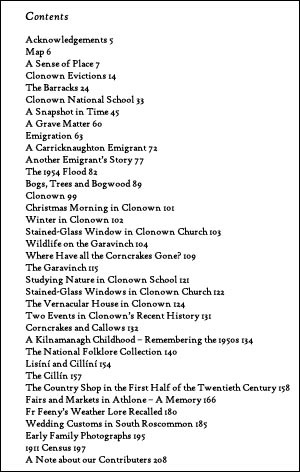 It deals with emigration, evictions, folklore, weatherlore, schools, police, Shannon flooding, the country shop, wedding customs, census data, fairs and markets, childhood memories and wildlife.